gives the cosecant of z. 1/Sin[z] is automatically converted to Csc[z]. TrigFactorList[expr] does decomposition. For certain special arguments, Csc automatically evaluates to exact values. Csc can be evaluated to arbitrary numerical precision. Csc automatically threads over lists. Csc is the cosecant function, which is one of the basic functions encountered in trigonometry. 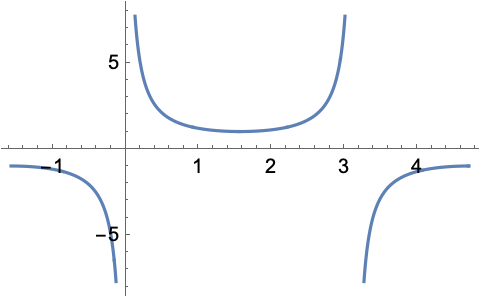 It is defined as the reciprocal of the sine function: . It is defined for real numbers by letting be a radian angle measured counterclockwise from the axis along the circumference of the unit circle. Csc[x] then gives the reciprocal of the vertical coordinate of the arc endpoint. The equivalent schoolbook definition of the cosecant of an angle in a right triangle is the ratio of the length of the hypotenuse to the length of the leg opposite . Csc automatically evaluates to exact values when its argument is a simple rational multiple of . For more complicated rational multiples, FunctionExpand can sometimes be used to obtain an explicit exact value. TrigFactorList can be used to factor expressions involving Csc into terms containing Sin and Cos. To specify an argument using an angle measured in degrees, the symbol Degree can be used as a multiplier (e.g. Csc[30 Degree]). When given exact numeric expressions as arguments, Csc may be evaluated to arbitrary numeric precision. Other operations useful for manipulation of symbolic expressions involving Csc include TrigToExp, TrigExpand, Simplify, and FullSimplify. Csc threads element-wise over lists and matrices. In contrast, MatrixFunction can be used to give the cosecant of a square matrix (i.e. the power series for the cosecant function with ordinary powers replaced by matrix powers) as opposed to the cosecants of the individual matrix elements. Csc is periodic with period , as reported by FunctionPeriod. Csc satisfies the identity , which is equivalent to the Pythagorean theorem. The definition of the cosecant function is extended to complex arguments using the definition , where is the base of the natural logarithm. Csc has poles at for an integer and evaluates to ComplexInfinity at these points. Csc[z] has series expansion about the origin that may be expressed in terms of the Bernoulli numbers BernoulliB. 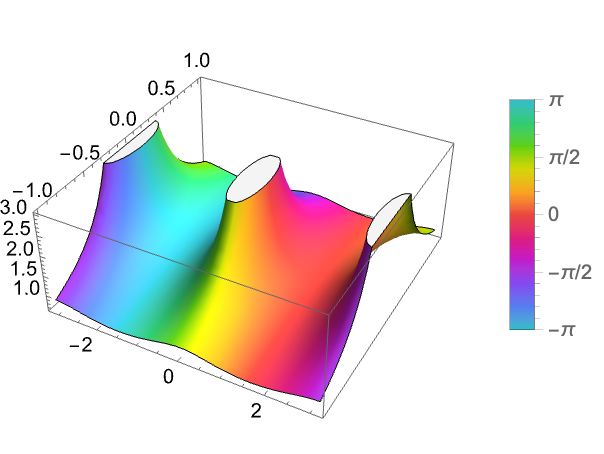 The inverse function of Csc is ArcCsc. The hyperbolic cosecant is given by Csch. Other related mathematical functions include Sec and Sin.